Gremtek’s roots date back to 1985 when the company was founded as Gremco. During the late eighties and nineties Gremtek forged an enviable reputation as a leading independent manufacturer of heat shrink tubing. As the company evolved, Gremtek broadened its product range to include expandable braided sleeving, thermal sleeving and reflective sleeving. 1996 saw Gremtek’s first international expansion through the creation of a UK subsidiary. 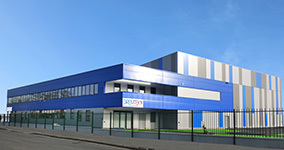 More recently in 2010, Gremtek established a further subsidiary in Germany offering not only an improved sales network but a new warehouse and logistics centre. Further sales offices in Turkey, Sweden and Slovakia support the growing customer base. Gremtek’s products offer a comprehensive range of solutions for the protection of cables, tubes, pipes, hoses and components. Gremtek sleeves are designed to offer excellent electrical insulation, thermal and mechanical protection. In addition, certain products are designed specifically to provide acoustic dampening, EMI shielding as well as providing cable management and identification solutions. Investment in R&D, engineering and test laboratories mean that Gremtek is extremely well placed to support your needs.